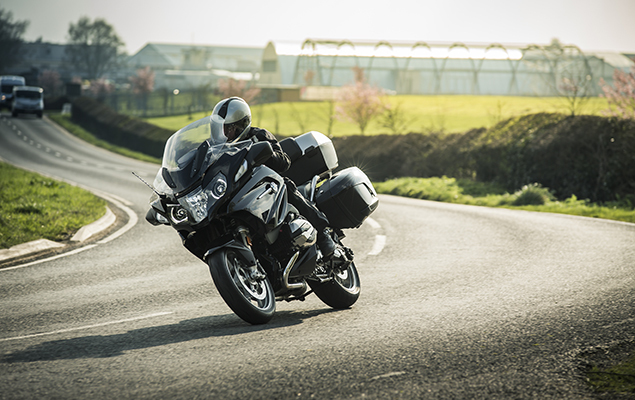 As the sun comes out (finally) and a lot of us make plans to go riding this weekend, it’s good to know that Britain’s roads are getting safer, according to a new report by the Road Safety Foundation. While it’s not all rosy, the new report shows there were 25 per cent fewer crashes on major roads in 2016 compared with statistics in 2007. Experts from the Road Safety Foundation claim that on roads where the crash rate fell, this is due to improved ‘attention to road engineering detail – signing, road markings, safe pedestrian crossings and the right speed limits in the right place’. While there’s no specific breakdown for motorcycles, a Freedom of Information enquiry to the Department for Transport from motorcycle insurer Carole Nash revealed that the A1 is the deadliest road for fatal accidents, but one of Britain’s favourite biking roads, the A38 Cat and Fiddle, had the most accidents with 8698 recorded between 2007 to 2016. The report also shows that nobody died on 35 per cent of the 2,000 roads analysed in that period, including eight of the 51 motorways. It may not be the most inspiring place to go riding, but Britain’s safest road is the M49, where there were just 11 accidents involving nine vehicles. The most dangerous is the A1 that runs between London and Edinburgh with an incredible 172 deaths and a shocking 7848 accidents involving 10,821 vehicles. However, the facts don’t tell the whole story. It’s important to note the A1 is also the longest road in Britain, as it runs for some 410 miles. The safest road, the M49, runs for just five miles North of Bristol. Figures after 2015 aren’t readily available yet, but motorcyclist accident rates are improving. In 2010, Department of Transport figures show some 347 riders were seriously injured or killed in England and Wales. That number has decreased to 241 riders killed or seriously injured in 2015 in England and Wales. Ride safe this weekend everyone. HOW SAFE ARE YOUR LOCAL ROADS? Want to find out how safe the roads are that you ride on? The Road Safety Foundation has a new interactive Road Crash Index. It enables anyone to look up how their county ranks in recent safety improvements and see the cost of road crashes locally.